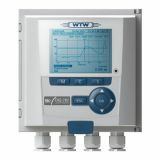 WTW IQ SensorNet is a modular water quality system for a complete sensor network ideal for various installation needs. The modular system can accept additional sensors easily at any time. 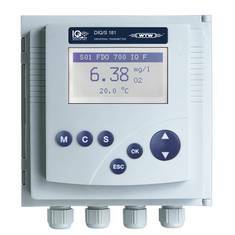 This is a powerful system to continuously measure water quality parameters anywhere in a facility for process control. The entire system accommodates up to 20 sensors for the above listed parameters in any combination. Any sensor can also be changed out at any time without re-wiring if another parameter is needed. Simply change sensors (parameters) and start getting data for the new parameter. 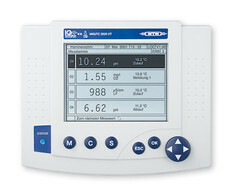 The IQ SensorNet terminal has an easy-to-read digital display. The terminal can be kept at a fixed location or easily disconnected and added to a module for a simple mobile terminal solution. You just pull it off its location and move it to the new location without tools and within seconds. If two terminals are used, the second one would take over automatically if the first one fails or loses power, etc. The WTW IQ SensorNet will provide continuous data and help improve process efficiency while saving money on energy costs, maintenance, and labor. Building a system is easy: you will need a terminal(s), module(s), cable(s) and sensor(s). All you need to do is determine which parameters you want to measure and where. After that, the IQ SensorNet takes care of the work. 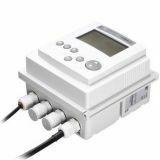 The product range of IQ sensors is one of the most complete product families to monitor wastewater treatment plants in the world. Every parameter has its own sensor with a special measuring procedure. The connection of the sensors always takes place via a SACIQ cable with uniform sensor quick lock, which makes the installation a piece of cake. 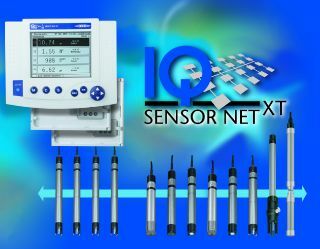 WTW Technical Application Specialist, Georg Hatzelmann, introduces us to the powerful IQ Sensor Net system. Georg has over 14 years experience with the IQ SENSOR NET system. His core competence is in international technical support and training for both beginners and specialists - and everyone in between. Q1: How about analog sensors and analog controllers? A1: Analog sensors and controllers are not available for the IQ Sensor Net. Q2: Is there a distance limitation for 20 sensor to connect to model 2020? A2: The 2020 system has a maximum length of 3km cables with 20 sensors. Q3: There might be a mix of analog and digital equipments and customer wants to utilize the IQ sensornet system instead of redesigning a PLC / SCADA system. A3:We can use the IQ Sensor Net system similar to a PLC system and connect mA signals from external devices. 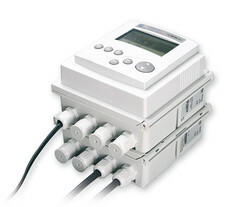 If I have a FlowMeter outside you can use a mA signal and feed it to our system, just like a PLC system. Q4: How about the difference between Visoturb 700 IQ and Visoturb 900-P? A4:The difference is a completely different design. Q5:Do we have a limitation for the 284 especially in power consumption? can we connect carbovis, FDO, tetracon and sensolyt at a time? A5:The limitations depend on how many sensors are on which 284 system.E.g. : DIQ/S 284 EF can handle your example. Q6:Do you have a model suitable for zone 1/2 area? A6:At the moment, we don't have one available but we will announce when we have an option. Q7:If we connect CarboVis 705 IQ TS to DIQ/S 284, can all parameters be displayed? A7:In the 284 we are only limited to 4 hardware sensors so we can display all parameters of our UV sensors so up to 5 parameters per sensor can be displayed. 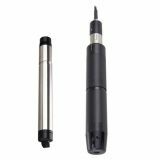 Q8:What is the suggested frequency for cleaning of DO sensor manually? A8:This is dependent on so many factors. 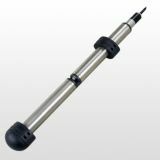 It depend on application and mounting, typically 1 - 6 months if it is properly mounted. Q9: Is it possible to connect the IQ Sensor net to a telemetry system? A9:If the telemetry system is understood as a PLC system then the answer is yes. Q10: I know the max lenght of cable is 1 KM. If we need to extend to 3 KM we require abooster - how many boosters can we use? 3 ? Q11:Is there any HART communication? Q12:Can we connect 2020 system directly to a wireless modem (GSM/GPRS modem) for data transfer? Q13: How we can improve life of pH Sensors and Electrodes? Q14:Do you have profibus PA? A14:We don't have profibus PA but you can use 3rd party converters. Q15: How frequently do you have to calibrate the sensors? A15:Dependent on the sensor type. You should calibrate every one or two weeks. 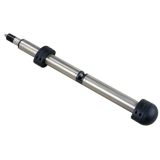 Q16:Do you offer a 2 year warranty on the pH probe? A16:We have a two year warranty on the armatures, and we have a production error warranty on the electodes but we do not have a life time warranty. Q17:How do you use the 181 with a IQ Sea Water pH sensor? A17:We don't have one available. Q18:It seems the 181 can use on IQF only. Q19: Do you have compeititor comparison? A19:Yes, our sales teams can offer this information. Q20: How offten do we have to replace the DO membrane? 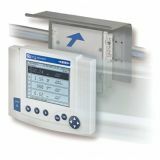 Q21: Can we use an air cleaning facility with the DIQ/S 181 controller? 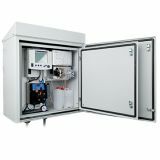 Q22: This system is mostly used in municipal, is there any installation based in petrochemical or power plant? A22:We have some experience with these installations but please contact your local sales representative to ensure that it can be installed in your facility. Q23:Do you have plan for wireless sensors in the future? A23:Up to now we have no plans. Q24:What is the maximum 4-20 mA input that can be connected to the 2020 system? A24:A maximum of 20 signals if there are no other sensors. Q25: Do you have an explosion proof model? 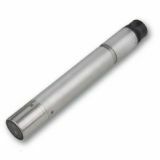 Q26:Why is there no ultrasonic cleaning for the pH sensor and what is the method used? A26:Technically this is not possible. Our type of ultrasonic cleaning technology is only applicable for the optical measurement system. 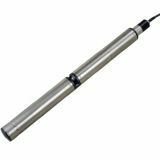 The means that the optical window is vibrating and if you keep a pH sensor continuously vibrating, you will destroy it over time. Q27:How about a connection possibility for the DIQ/S284 with MIQ Modules? A27:We have some MIQ modules suitable for the 284 systems. Please contact your regional sales represenative for more information. Q28: Can customers set username and password for IQ web? Q29: Define the housing body of the carbovis sensor - is it made up of peek + titanium? A29:Correct. All UV sensors have a Titanium and Peek housing body. Q30:Where is peek material used in the sensor? A30:In the middle of the sensor on the optical part. Q31:Can carboVis sensors be used in seawater? A31:Our algorithem does not work in sea water however our single wave length sensors can be tested. Q32:Since there is titanium material available which is very robust, is the warranty still the same? A32:Yes, the warranty is still the same. A33:It is possible with Peek but not with Titanium because the sensor is overly complicated to produce in Titanium. Q34:Why is there no HART communication provided? A34:HART is an old communication technology based on the mA hardware. We only use state of the art technologies. Phosphate elimination analyser - easy to integrate in new or existing IQ systems. Chemical-free measurement of COD / TOC / DOC / BOD / SAC / UVT directly in the process.